Successfully saved Mini Cheesecakes with Raspberry Sauce - Keto, Low Carb & Gluten Free to your Calendar. You can also save the ingredients to your Grocery List. 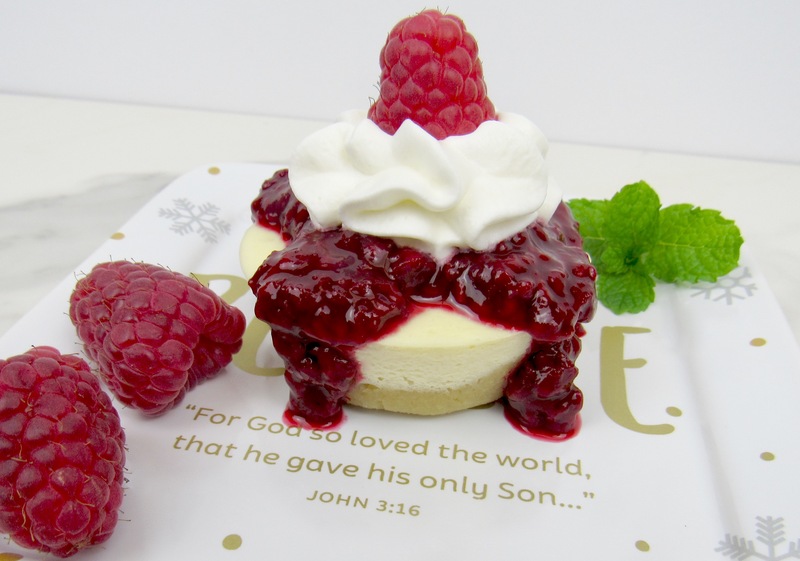 These mini cheesecakes are so decadent and incredibly easy to make! I add some of my homemade Raspberry Sauce, a little bit of whip cream and a fresh raspberry on top. You can make these and serve them plain, with fresh berries, chocolate sauce or even lemon curd over the top. These are great to serve at a party, you can easily pick them up and bite right into them. They also freeze beautifully, so you can freeze leftovers for a quick dessert anytime you'd like one!